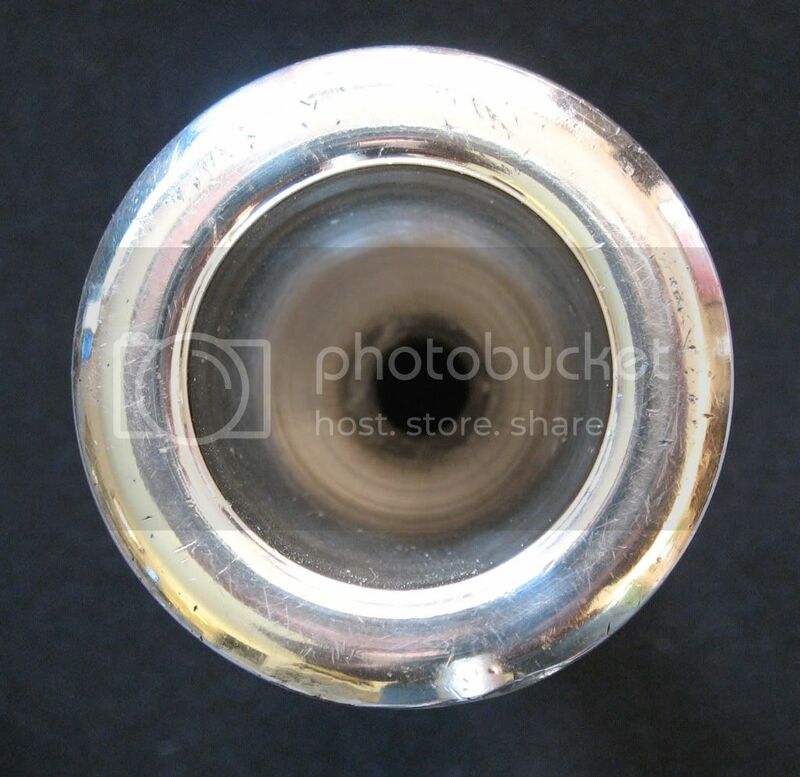 TubeNet • View topic - Martin Tuba mouthpieces? Probably not what came with a Bb though! I have a Martin 4/4 BBb and it came sans mouthpiece. 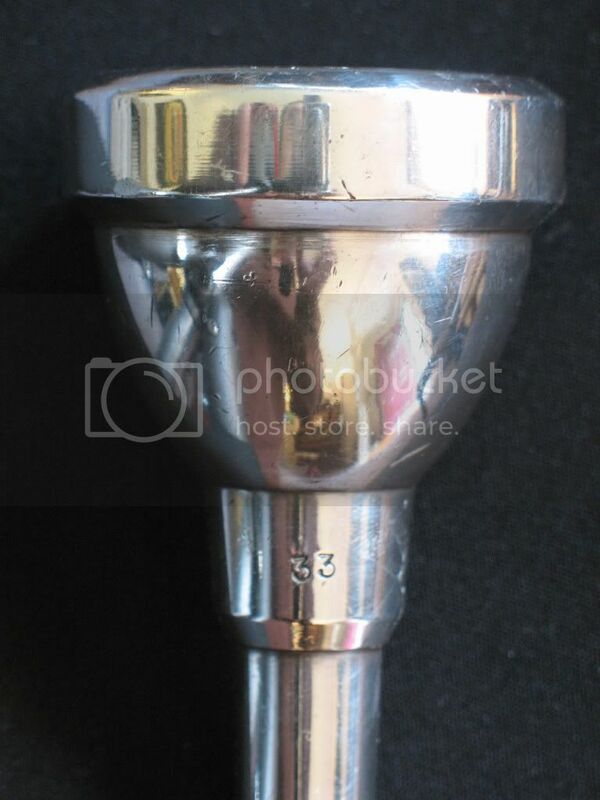 >>>Anyone know what type of a mouthpiece Martin would have provided with a 1962 Martin 4/4 BBb tuba? BTW, it's made out of FIBERGLASS!! It's a hoot and plays great!!! "We can avoid humanity's mistakes"
When I started on Eb tuba at the age of 10 my father set me up with a Martin Eb mouthpiece, which was roughly comparable to a Bach 25 but with a small shank. That was his favorite Eb mpc for all his life, except for those 3 years when I was using it. When I switched to BBb he gave me a Martin BBb mouthpiece, roughly comparable to a Bach 18. The standard Martin rim was too wide, but mine had been trimmed down a bit. In 1962 Martin was still making that mouthpiece, but with a more modern exterior. His own favorite mouthpiece for his 1932 BBb Martin, (the same model that they later made in fiberglass) was made by Fred Geib; it had a much deeper bowl and narrower rim. I think Lee Stofer is now making Geib copies, but I have not yet seen one to compare with the original. Wow another fiberglass Martin tuba? Did you get it from Rick Denny, or there now two represented on this board? I have an old Martin mouthpiece that was changed into a cut-away by my late grandfather, a German machinist. I never used it much, because the cup diameter was a little smaller than I am used to. I will have to dig it out and take some pictures and post them. FWIW, besides the diameter not being large by modern standards, I seem to remember it being a medium sized bowl cup, not too deep. My grandfather machined the first one for Pat Landolfi, NJSO, who absolutely loved it. He also machined one for Warren Deck, who rarely used it. Different strokes for different folks, I guess. My 1940 BBb Martin came with a Martin 33 mouthpiece. The cup and throat on the 33 is very similar to the Curry 128DH but the rim is very wide and rounded. Coincidentally, I find that the Curry 128DH works wonderfully with the Martin, (for me, anyway). I call my 33 "the doorknob" due to its' massive outer contour-an early heavyweight, complete with extra mass around the throat! I'll try to post a picture later if I can get some other chores done today. Not sure what kind of 'piece Martin was providing with their tubas in the '60s. Here are a few shots of the Martin 33-I'm not too good at posting these things so I hope they can be viewed properly. I like the photos. 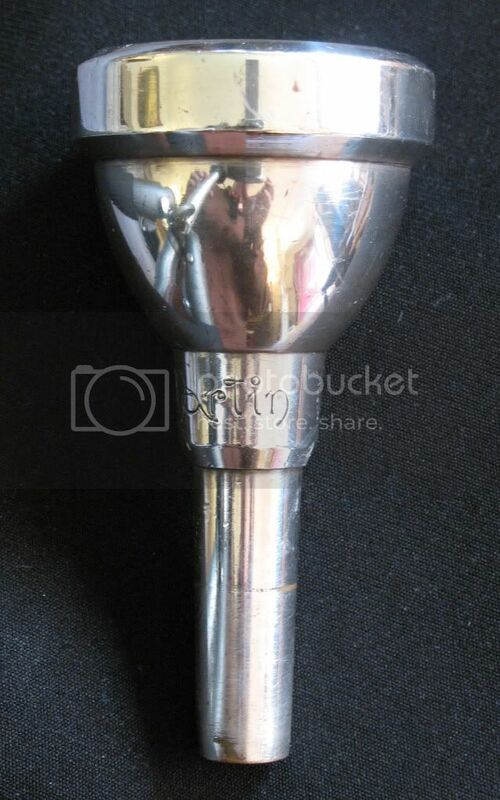 I wouldn’t like the extremely wide rim of this mouthpiece. goodgigs wrote: Wow another fiberglass Martin tuba?